Malone LA, et al. 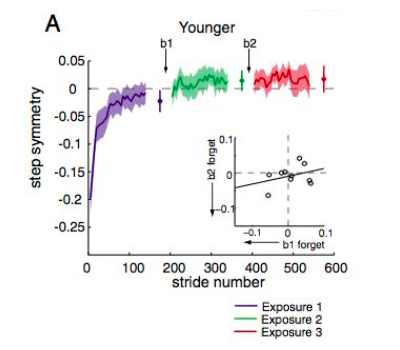 Age-related forgetting in locomotor adaptation. Neurobiol Learn Mem. 2015 Nov 14. Zwergal A, et al. 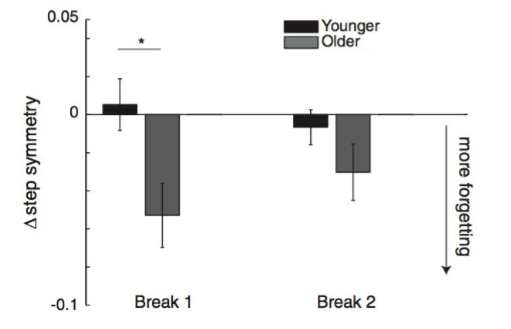 Aging of human supraspinal locomotor and postural control in fMRI. 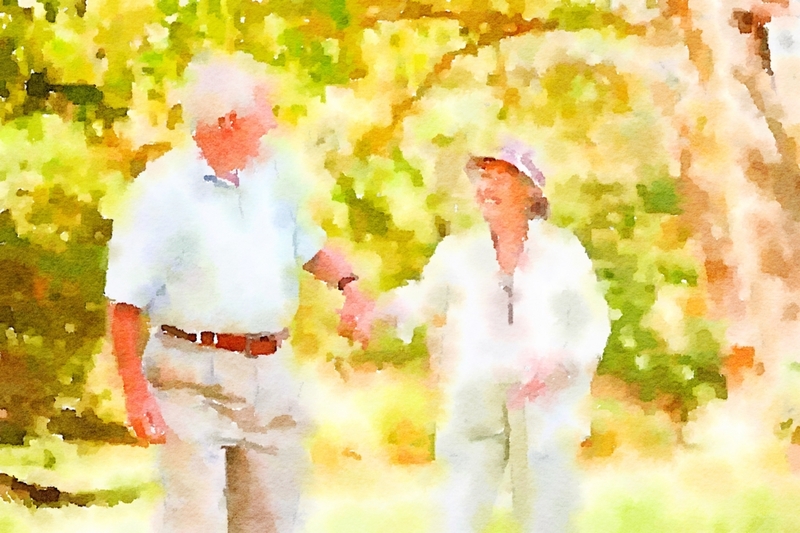 Neurobiol Aging. 2012 Jun;33(6):1073-84. Trewartha KM, et al. 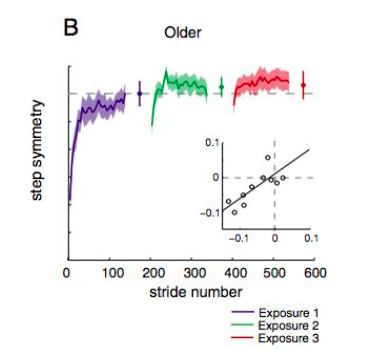 Fast but fleeting: adaptive motor learning processes associated with aging and cognitive decline. J Neurosci. 2014 Oct 1;34(40):13411-21.